Laura Chenel went to France in the 1970s, returning to California inspired to raise goats and make the cheese she had come to love abroad. She was one of the first suppliers of the “new” cheese for restaurants like Chez Panisse. As demand for goat cheese (chèvre) spread across the country, artisanal producers multiplied. 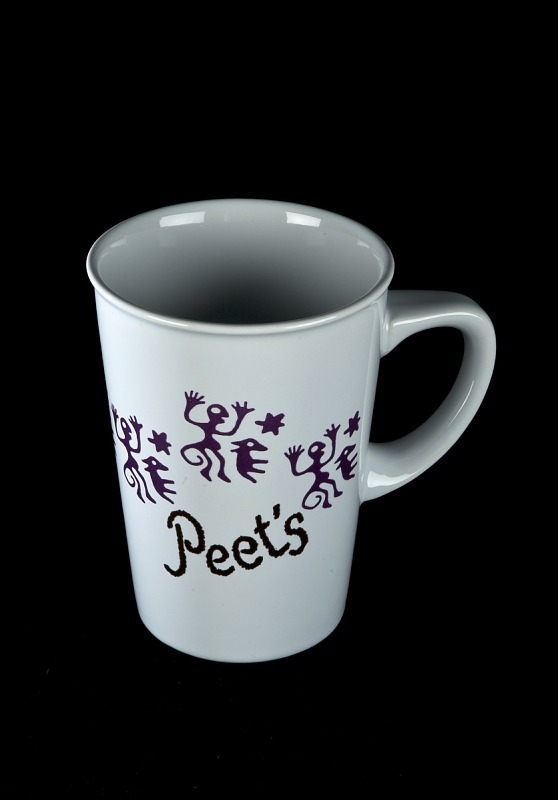 Alfred Peet, a Dutch émigré from a coffee-trading family, started Peet’s Coffee and Tea in Berkeley in 1966. Peet’s coffees satisfied a hunger for European tastes and flavors. His dark-roast brews started a coffee fanaticism that eventually spawned chains like Starbuck’s. Gift of Howard Morrison. A parody of other food pyramids showing a nutritional hierarchy, this pyramid makes fun (well, not entirely) of the foods sacred to the gourmet ghetto.